Enough time has passed since Easter to be able to enjoy lamb again whilst it’s still at its prime. 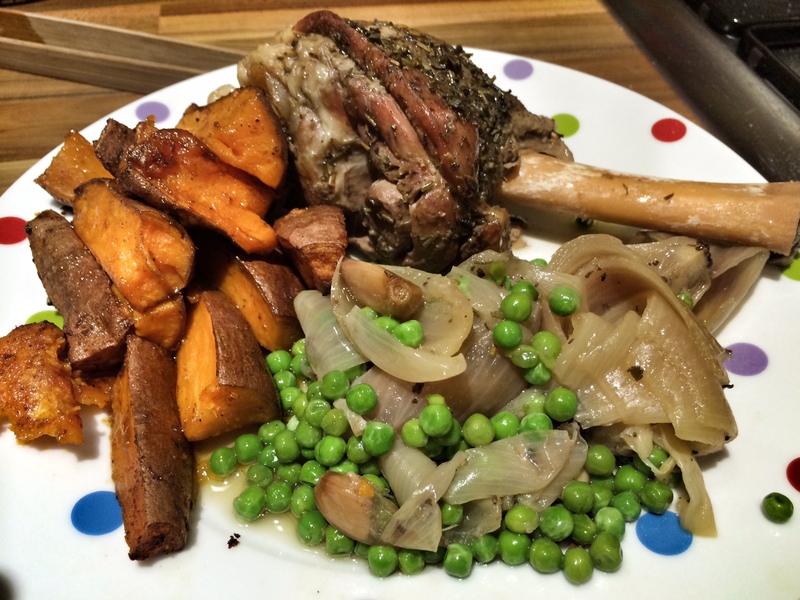 The recipe this week is for lamb shank, which has been slow roasted so that the meat just falls off the bone. 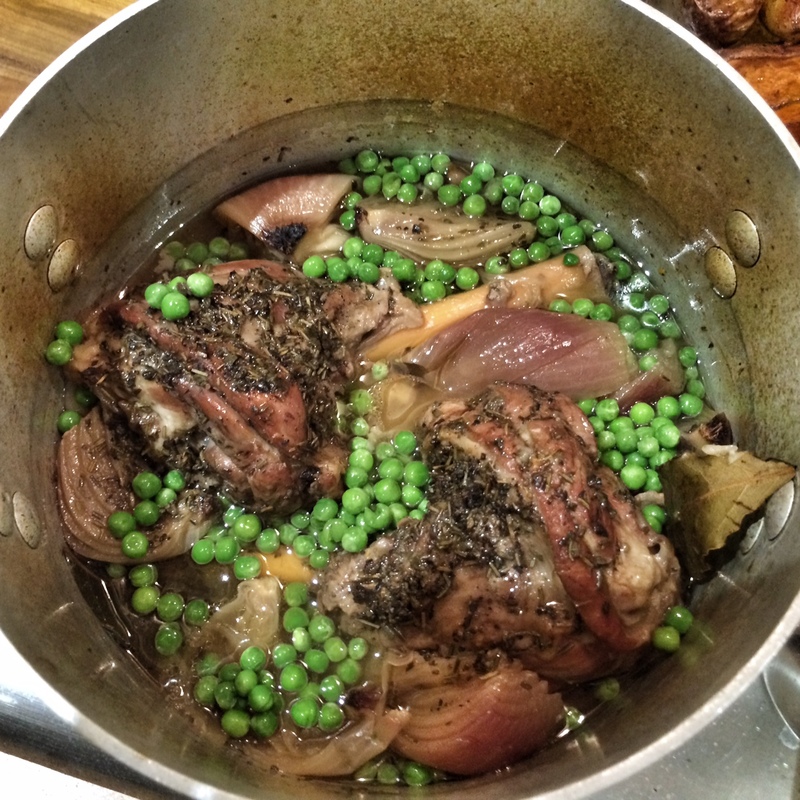 Although the lamb takes almost 4 hours to cook, it takes next to no preparation – just turning the oven on and putting everything in a casserole dish (one that has a lid). This means you can just leave it be and get back to watching the rugby, gardening or whatever it is you want to do. 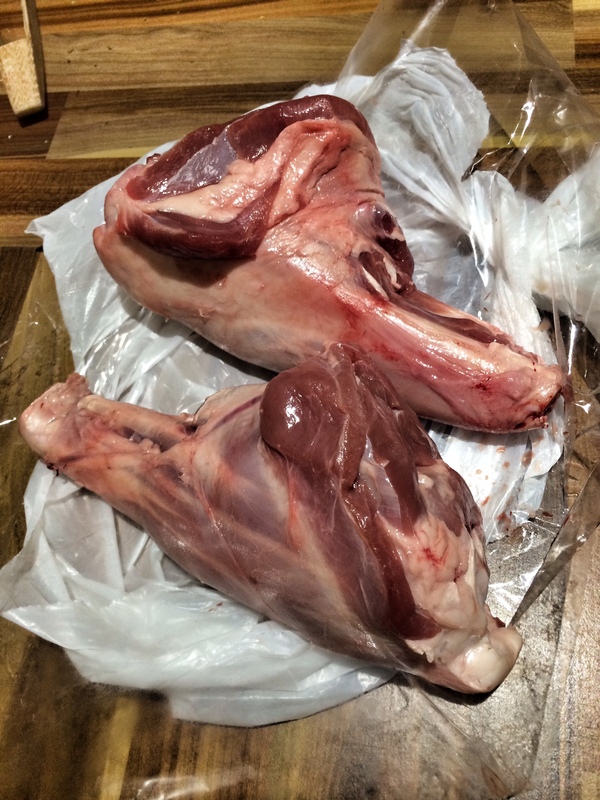 I got my lamb shanks from my local butcher (W A Gardner & Son in Wimbledon). They offer a great service and have a much better choice of cuts than the local supermarkets. Pre-heat the oven to 130ºC fan (or 150ºC if you don’t have a fan-assisted oven). 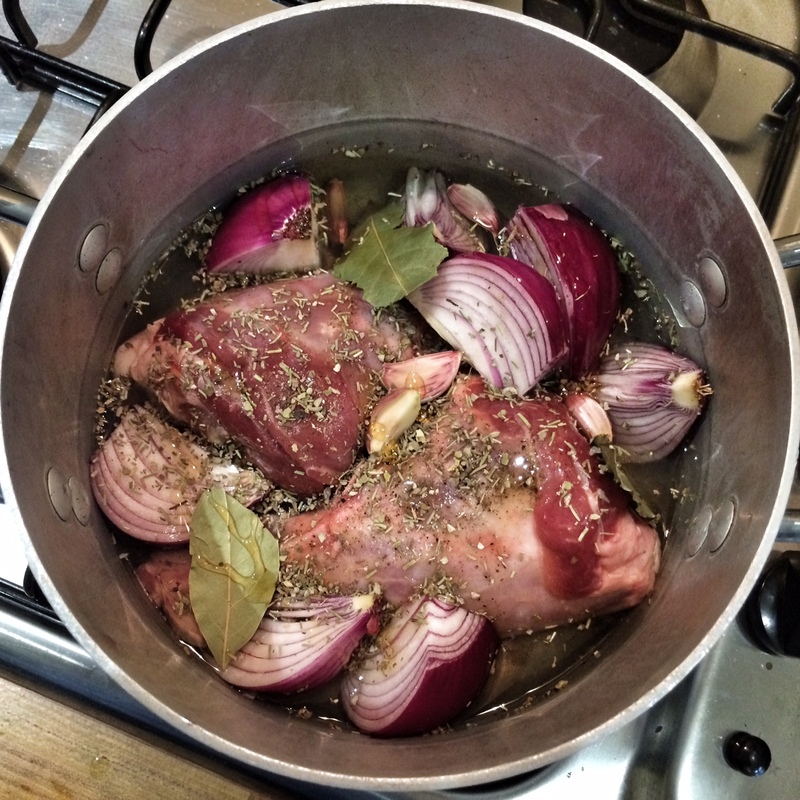 In a casserole dish (one with a lid) place the lamb shanks and season well with the salt and pepper. Then scatter round the red onions, garlic cloves, sage, rosemary and bay leaves. Pour in the wine (the best half of a bottle), then put the lid on and pop into the oven. Leave to cook for 2.5 hours without interference. I used this time to enjoy the remaining glass and a half of the bottle of wine. After 2.5 hours, chop up the sweet potatoes and place into a large baking tray. Drizzle the potatoes with olive oil and give a seasoning of salt and pepper then sprinkle over the smoked paprika. Put in the oven for 45 minutes. 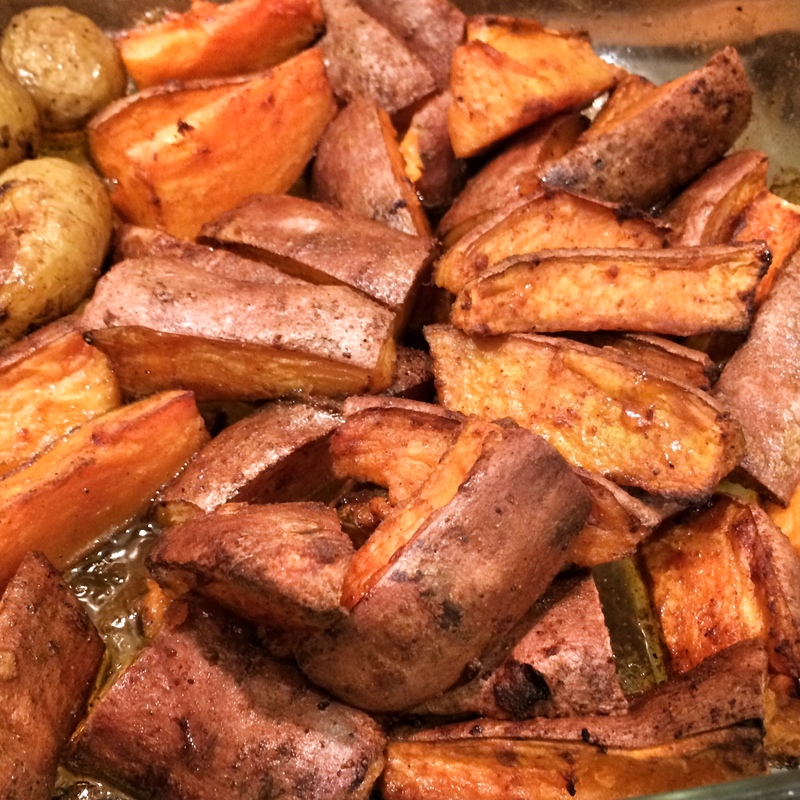 After the 45 minutes has passed, turn the oven temperature up to 200ºC, toss the sweet potatoes around (to make sure evenly coated in oil) and leave everything to cook for a further 30 minutes at the higher temperature. 5 minutes before the time is up, add the frozen peas to the casserole and put back in the oven. Take everything out of the oven and serve up straight away (one shank per person with some of the peas, onions and roasted sweet potatoes). You don’t need to leave the meat to rest, as it should already be falling off the bone.